Two weeks ago we celebrated Yom Haatzmaut – Israel’s birthday. It’s an exciting time of year for those of us who care and advocate for the state of Israel. Celebrations commemorating Israel’s Independence Day happened on college campuses all over the country. And yet I observed two troubling trends surrounding many of these events that do injustice to Israel, to pro-Israel advocacy, and to the intelligence of college students. 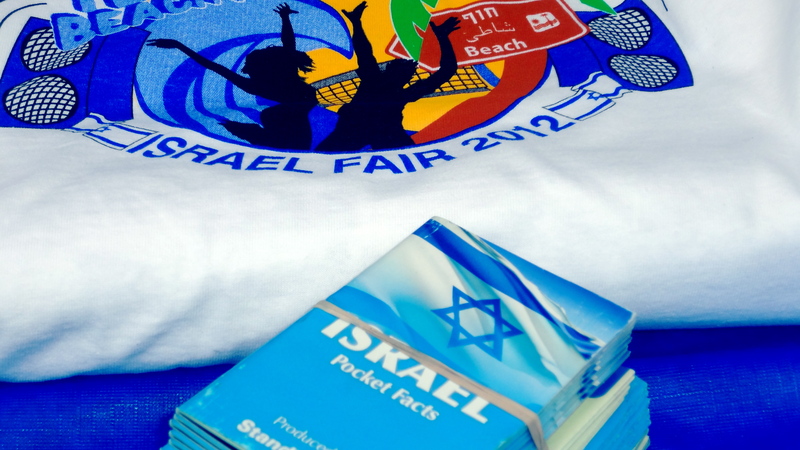 Many of these fairs are framed as “cultural events” – an effort to create an apolitical space for the discussion of Israel. This goal is impossible. Whether the organizers realize it or not, Israeli society and the American Jewish conception of it is so heavily politicized that it is incredibly difficult to have, do or say anything about Israel that is totally apolitical. As a result, the organizers of these events end up presenting political opinions disguised as facts. Even though she was talking about Israeli citizens, her sentiments ring true for American Jews as well. At Johns Hopkins University we recently held our annual Israel Fair, a large campus-wide event. The event was advertised as a day to “learn about the history of Israel and all the amazing accomplishments that have been achieved over the past 64 years.” The event was fun. The falafel tasted delicious. The music was happy and familiar. And yet, something about the event was disconcerting. This type of event happens at campuses all across the country. There is nothing wrong with celebrating Israel’s successes, but doing so is only one part of the broader picture of how we should engage with Israel, and the way these successes are presented inevitably carries with it political implications. All too often, events that are framed as “cultural” partner with national organizations that have explicit political agendas. I watched as pamphlets were distributed at our Israel Fair that reported on Israel’s human rights record, Israeli LGBT tolerance and Arab voting rights. Maps of Israel were disseminated. Fact sheets were passed out about the Israeli Defense Force and Israel’s humanitarian aid to other countries. I do not oppose these topics being discussed, however I reject the claim that these are somehow “not political.” They are. When the Chief of Staff of the Israeli military, Lt. Gen. Benny Gantz, says that Iran is likely not building a weapon, it is not a fact to say Iran is “racing to build nuclear weapons.” It might be a mainstream opinion, but it is certainly not a settled fact. When the Israeli Supreme Court has ruled repeatedly, in accordance with the law, that numerous settlements in the West Bank are built on Palestinian land, or land with contested ownership because it was not farmed by anyone for a certain number of years, it is not a fact to say that settlements are categorically built on land once owned by Jews, as implied by the StandWithUs literature. Let us be intellectually honest. These statements are opinions. Israel fairs are great. We should have them. But they should also directly address the political situation Israel faces. And if they opt not to, we must acknowledge that these fairs are still political. Even when we engage in discussions about Israel’s technological achievements or their treatment of the LGBT community, we must be open about the political nature of these things. Politics does not have to be a dirty word. More importantly, we’re not doing Israel any good by avoiding the peace process. We should be talking about the two-state solution, Hamas and the Palestinian Authority, Israeli settlements, and rocket attacks. All of these are crucial elements in envisioning and understanding Israel and its future. We should embrace the complexity, and give people actual answers instead of pretending that these issues don’t exist. This is how we can do justice to Israel, get more people involved in pro-Israel activism and show students that we trust them to be smart people. Pro-Israel advocates cannot shield college students from the conflict. Students will read about it in newspapers. They will watch documentaries they find on Netflix. It is unavoidable. But let’s be proactive and embrace the challenges head on, precisely at a campus-wide event created to learn about Israel. We can provide people with the opportunity to develop a real, deep relationship with Israel, not just one that’s based on a universal love of falafel.